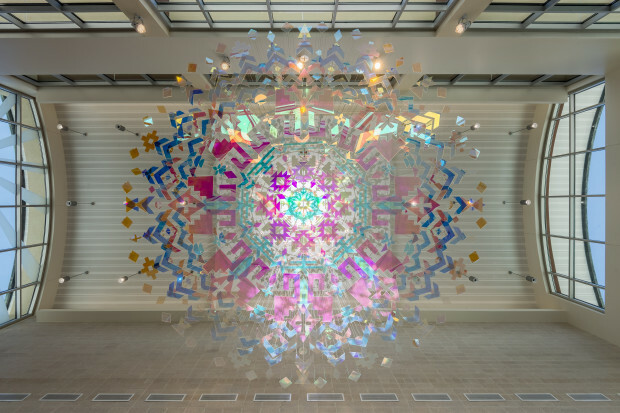 With numerous dichroic shapes suspended at various heights, Radiance forms a mandala-like structure twenty feet in diameter. Each hanging shape draws upon traditional patterns from ethnic groups that have contributed to El Paso’s rich and diverse culture. From an oculus above Radiance, light vibrantly splays colors and shapes across the building’s interior. 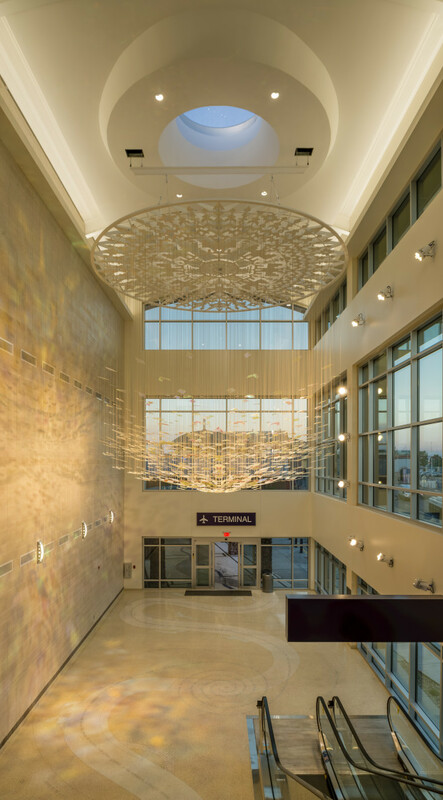 Radiance hangs at the newly constructed El Paso International Airport Rental Car Center. 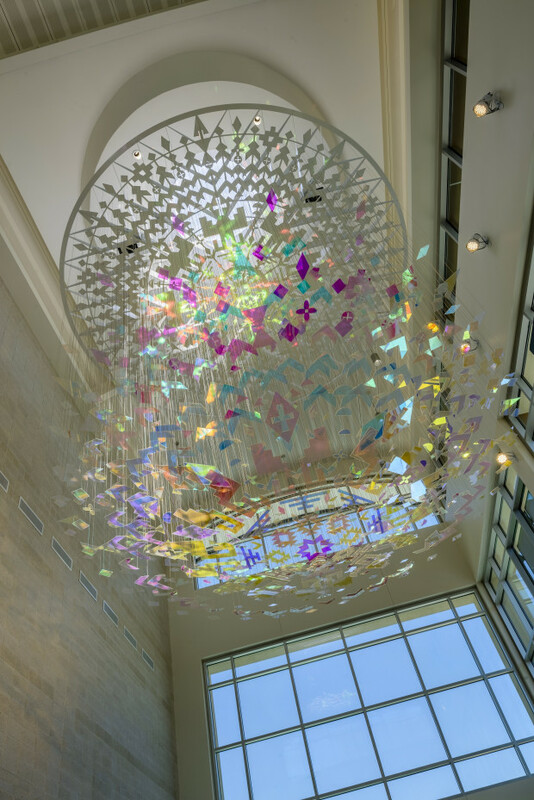 Radiance was created using funding from the City of El Paso’s Public Art Program. For ten years, the city has dedicated two percent of every capital project to site-specific public art. 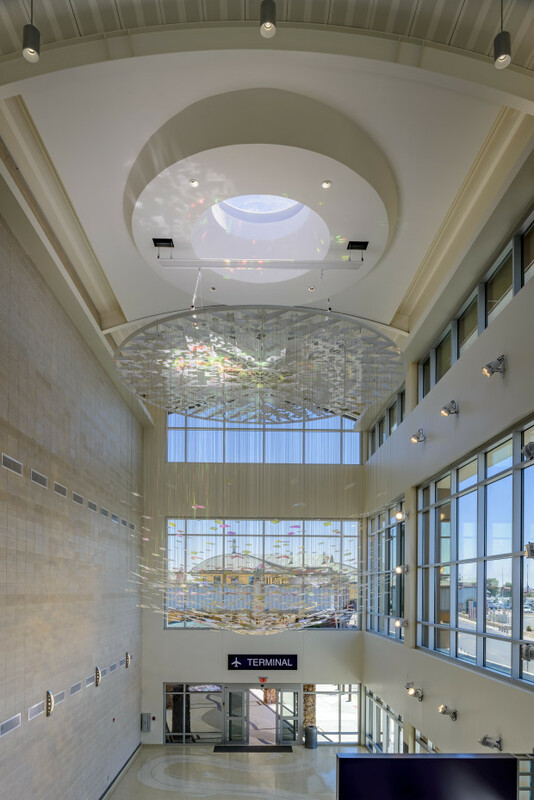 A primary goal for this project specifically was to integrate a striking work of art to match the rental car center’s scale. In order to accomplish this, Radiance was fundamentally integrated with the building’s overall design, giving the artwork greater presence. Because light is central to the experience of Radiance, both an oculus above and one-story windows flanking the piece were designed to allow maximum light to flood the interior of the building. 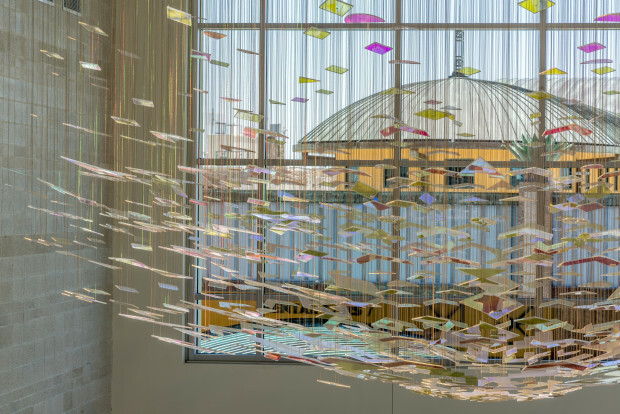 Filtered through the artwork’s hanging shapes, the incoming light beautifully radiates colors and patterns that change throughout the day. This project is the focal point of the rental car center. 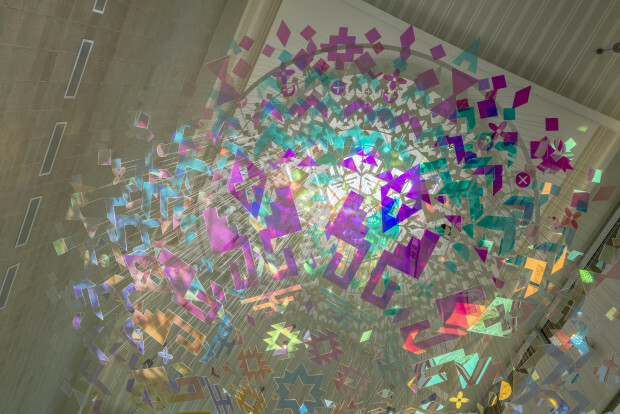 As such, this necessitated coordination between MCAD, the El Paso International Airport, DWA Architects, and the artists—RE:Site and Metalab—in order to successfully integrate the artwork into the overall design. For example, an oculus and windows were added to direct natural light through the artwork reflecting vibrant patterns and images onto the building’s surfaces. RE:Site also collaborated with terrazzo artist Mitsu Overstreet to create a swirling poem on the building’s floor that aligns with the center of Radiance.